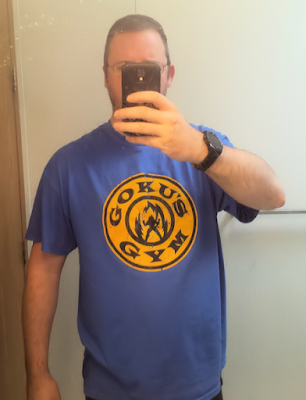 A guy can never have too many T-Shirts, and I take every opportunity to add another one to the collection. 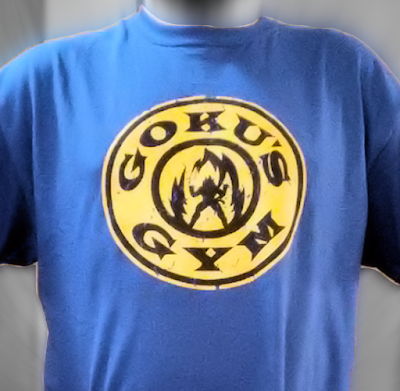 I can usually tell straight away if a T-Shirt is going to be an 'everyday' shirt an 'oil change' shirt or a 'next week's rag' shirt, and this Goku's Gym T-Shirt from AW Fashion is definitely an everyday shirt. This shirt is available in red, white or blue and is made from 100% 5.3oz pre-shrunk cotton. I ordered X-Large and it fits just as I expected. It is comfortable and feels very durable. The stitching is solid and I have no doubt that I will still be wearing this shirt in 12 months time. The design is eye catching and amusing, especially for those who are familiar with DragonBall Z. The image is 'distressed' to give the impression of wear and tear, but the printing is good quality and feels like it will last for a long time. I have worn this shirt a lot since it arrived and it will get a lot of wear in the future, and on the strength of this review sample, I would recommend AW Fashion shirts to anybody. Disclosure: I received this item at a strongly discounted price in exchange for the honest and unbiased review above.